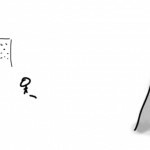 I read this article and wanted to share it with you: Debunking the Bunker Mentality https://blog.sonlight.com/debunking-the-bunker-mentality.html. 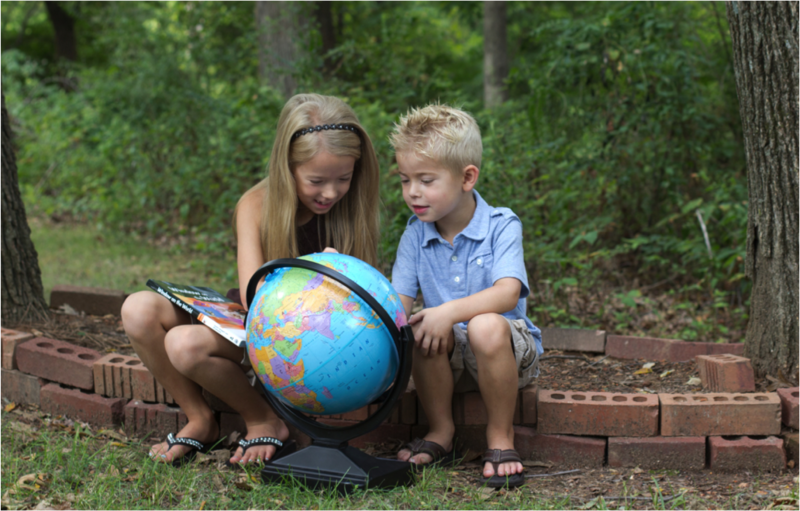 One complaint leveled against homeschoolers is that we shelter our children, afraid (or unwilling) to expose them to things of this world. The reality is that sheltering children can be a very good thing. But there are times when it is not so good. 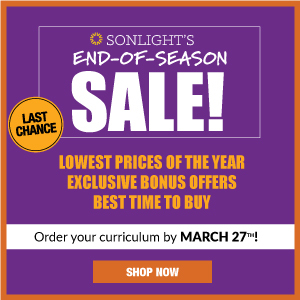 The nudge to hide away from lies and bad ideas is subtly promoted throughout the homeschool world. The outcome of such an approach could be called "the bunker mentality." But rather than build a fortress to stand against an onslaught of error, I'd prefer to prepare children to step out into the fray, ready to provide answers and meet people where they are. We sit at my kitchen table. He is a brilliant young man who has rejected Christianity. The only way he could accept a god, he tells me, is if "god" was everything. It makes sense from where he's coming from, but leads to a rather odd, meaningless version of pantheism. We're talking about religion, and he makes some crack about people who reject evolution. "Hang on," I interject. "Before we go on to say how ignorant Young Earth Creationists are, let's talk about evolution. It really bothers me how no one bothers to define that term. Are we talking about descent with modification, common descent, or abiogenesis?" Also interesting, he's no longer interested in talking about stupid religious people. 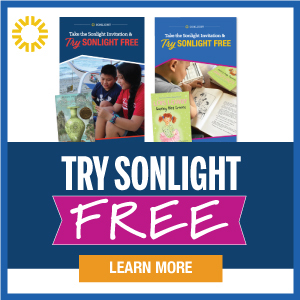 Growing up with Sonlight, I learned that it was good to question and discuss and find answers--even if the answers are incomplete. My faith is grounded in a belief that truth will win out and I don't have to fear wrestling with ideas. This makes science--good science--an ally. This makes questions opportunities to discover (and share) truth. This opens the world to be a place to learn more about God. And it allows me to be an active ambassador of Christ, not a fearful individual holed up in a bunker somewhere. And with a strong desire to share the love and truth of Christ, being able to step outside a Christian "bubble" is essential. My parents helped me develop this desire to reach out instead of hunker down. And you can do the same with your kids. P.S. 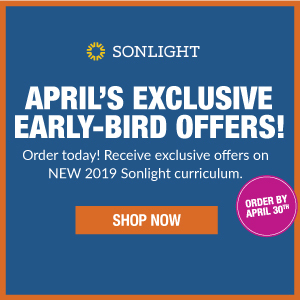 Interested in exploring a homeschool curriculum that empowers you to have meaningful discussions with your children and prepare them to thrive in the world they will encounter? 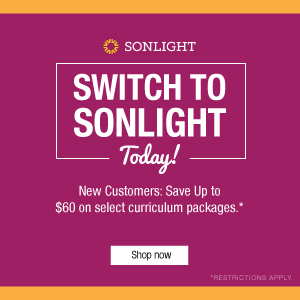 Check out Sonlight's homeschool curriculum.